If Mark Twain were alive today and directing motion pictures, he would’ve made something like Mud, a gritty American fable about two teenage boys who befriend an outlaw hiding out on an isolated island on the Mississippi. This third feature from Jeff Nichols once again taps into pointedly American fiction, history, and drama—all admitted influences on the Arkansas-born writer-director. His first film, Shotgun Stories (2007), followed a modern-day family quarrel not unlike the Hatfield and McCoy feud. For his second, Take Shelter (2011), Nichols toyed with our paranoid anxieties about preserving the longstanding American Dream by questioning the sanity of such desire. With Mud, it’s evident from the setup alone that Nichols has tapped into The Adventures of Huckleberry Finn. 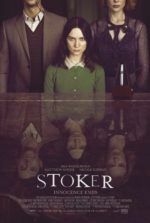 But rather than following the downturned indie film trend of his earlier projects, Nichols’ pairs what might be considered his stark realist outlook with Twain’s measured romanticism. Out to investigate a rumor about a boat in a tree, 14-year-old friends Ellis (Tye Sheridan) and Neckbone (Jacob Loffland) find what they’re looking for in the Arkansas Delta region of the Mississippi. Propped high up from a flood is a worn-down boat the boys are determined to keep, presumably for a treehouse or fort. But living inside is a drifter calling himself Mud (Matthew McConaughey), who soon admits he’s on the lam for having killed a man to defend his true love, Juniper (Reese Witherspoon). For Ellis, who’s distraught over the impending divorce of his dependent fisherman father (Ray McKinnon) and his mother (Sarah Paulson) who supports them with her family’s money, the idea of a man willing to kill for his partner is romantic and admirable. So when Mud asks the boys to gather him food and supplies to get the boat down from the tree and fix it up, Ellis agrees and Neckbone goes along with his friend. As they bring Mud scrap metal, rope, and even steal a working motor, the boys’ little Arkansas town is combed by both the cops and a band of ruthless crooks looking for signs of Mud. At the same time, Ellis, who’s never shy and quick to defend a woman in trouble, draws the attention of high schooler May Pearl (Bonnie Sturdivant), his first love. 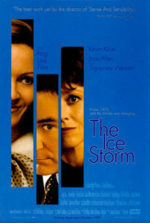 But Ellis soon learns that every relationship around him between men and women is fractured. His parents are separating; Neckbone has never met his parents and lives with his oyster-diving uncle, Galen (Michael Shannon); May Pearl doesn’t seem to be as interested in Ellis and he is in her. As for Mud, there’s a reason for the nickname. Ellis is warned not to trust him. Ellis’ neighbor across the river, Tom Blankenship (Sam Shepard), a character named after the real-life inspiration for Huck Finn and who may or may not be Mud’s father and a former CIA assassin, tells the boys that Mud is a liar. But Tom too has a broken romance in his past and Ellis now refuses to trust anyone who cannot make love work. Even Juniper tells the boys that they don’t know Mud and shouldn’t get involved, and soon it’s apparent that Juniper’s intention is not to run away with Mud. 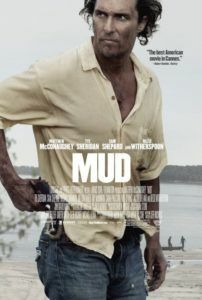 Debuting at the 2012 Cannes Film Festival where it competed for the Palme D’or, Mud has taken nearly a year to reach stateside audiences in limited distribution. And if you count Mud alongside Killer Joe, Bernie, and Magic Mike, 2012 was a highpoint in McConaughey’s career. If you count it as a 2013 release, it’s the first of many promising films for McConaughey this year, including Martin Scorsese’s next. We must be thankful for whatever it was that inspired him to stop making stuff like Failure to Launch and instead begin working on projects that require him to actually act, because every moment McConaughey is onscreen here he’s completely absorbing. Nichols reportedly wrote the part for McConaughey and one can see why—he is perfectly tragic and charismatic. Even better is young Sheridan, whose first real acting gig was in Terrence Malick’s The Tree of Life as one of Brad Pitt and Jessica Chastain’s boys, and who will next appear in another southern tale called Joe by David Gordon Green. 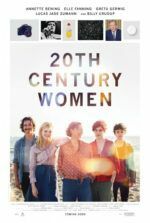 Sheridan embodies the sort of mid-teen confusion, innocence, and discovery that every boy experiences, and about which Nichols wrote somewhat autobiographically (the subplot about May Pearl was based on the director’s actual teen romance). From top to bottom, the performances are outstanding. Visually, Nichols’ cinematographer Adam Stone uses ever-moving Stedicam shots that recall those of Emmanuel Lubezki’s work for Malick, and the result makes Mud look beautiful in that spare southern drama way. In terms of story, Nichols makes one or two predictable choices that prove distracting, but not wholly detrimental to the film’s experience. Several shots of a snakepit foreshadow a predictable moment later in the film, leading to a huge dramatic surge and an inelegant-if-explosive shootout in the climax. Also, casting a powerhouse actor like Shannon, who headed Nichols’ first two pictures, into the surprisingly inconsequential role of Galen, a role that was either cut down in the editing or cast just so the director-actor pair could work together again, was a mistake. Mud might be accused of being uneven if Nichols didn’t arrange his scenes and drama so well. In the end, what’s loveable about the film is how Ellis, despite all of the warning signs that love between two people is fleeting and almost never works, remains an optimist and a romantic at heart. Mud could have very easily declined into a world-shattering tragedy, but Nichols stays true to Twain’s style on the Huck Finn and Tom Sawyer novels and instills both Ellis and Mud with the hopeful purity of youth.